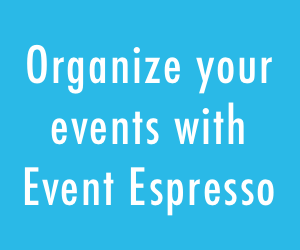 We love to see cool websites running Event Espresso. Every once in a while we come across a real nice organization focused on helping others. Other times we get an opportunity to work on websites for churches, charities and other types of non-profit organizations. Recently I had the pleasure of working with Scott and Charlie at the Rainbows Hospice for Children & Young People in the UK. 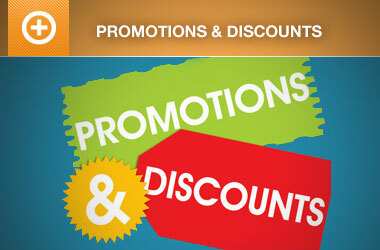 Charlie reached out to us to help with adding more functionality to their event listings and registration pages. He also wanted to accept single and multiple event registrations, and display events that do not accept registration, on their website. 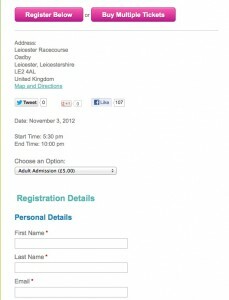 For the registration pages, he needed a way to display another set of buttons on the registration pages. 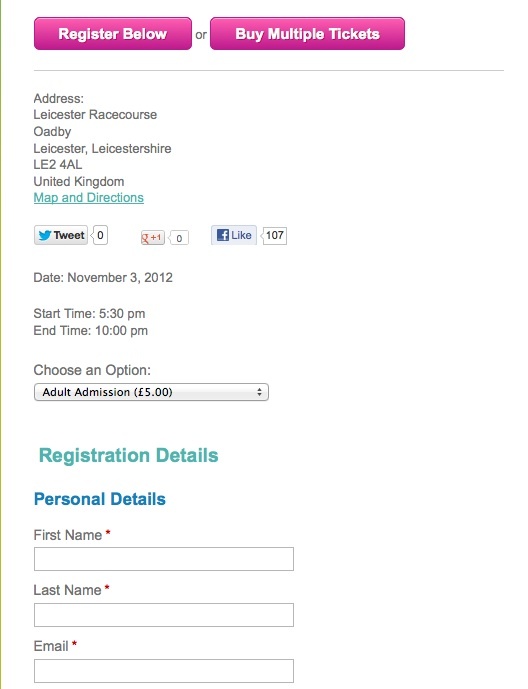 One button needed to link to the registration form, and the other needed to add the event to the shopping cart. Since we’re the event registration and ticketing experts, we were glad to support a great cause. In addition to helping with setting up their event listings page, I showed them how to create two buttons using a little bit of HTML and a built-in Event Espresso shortcode to get something like this (more on this below). They were several versions behind on updates, so I also helped get their version of Event Espresso and the addons updated. They had made a few customizations to the Event Espresso template files, based on the older version of the plugin. So I backed up their entire website and installed it on my local server so I could test the updates before deploying the updates to the live website and risk breaking things. In order to see the exact changes they had made to the original template files. I used a program called Diffmerge, to compare the modified templates, in the uploads directory, to the original version of the templates that came with the currently installed version (not the current version) of Event Espresso. The update actually went pretty smooth, and I didn’t lose their customizations or any data. The only thing left to do was make a few tweaks to the shopping cart CSS, and add some HTML and a shortcode, so they can display a couple of nice buttons on the registration pages. 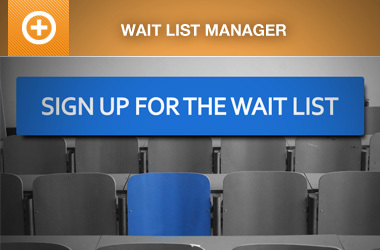 The first button is an anchor link to the registration form below the event description and the second button links to the Multiple Event Registration page allowing attendees to buy multiple types of tickets at once. Overall everyone involved is very happy with how the system turned out. It also made us feel good to help out an organization that plays such a great role in the short lives of the children, and their families, that the Rainbows Hospice for Children and Young People provide. So please take a moment to like them on Facebook, or send them a friendly Tweet, and say thanks for the good things they do for these children and their families. If you are a non-profit organization, you may qualify for a discount on your future purchase of Event Espresso by filling out our Non-profit Application form. Rainbows Hospice for Children & Young People, based in Loughborough, Leicestershire is the children’s hospice for the East Midlands. Children and young people with life-limiting and life-threatening conditions come to the hospice for specialist respite stays, symptom management, palliative and end-of-life care. Their families, too, are supported and helped by Rainbows on their difficult journey. 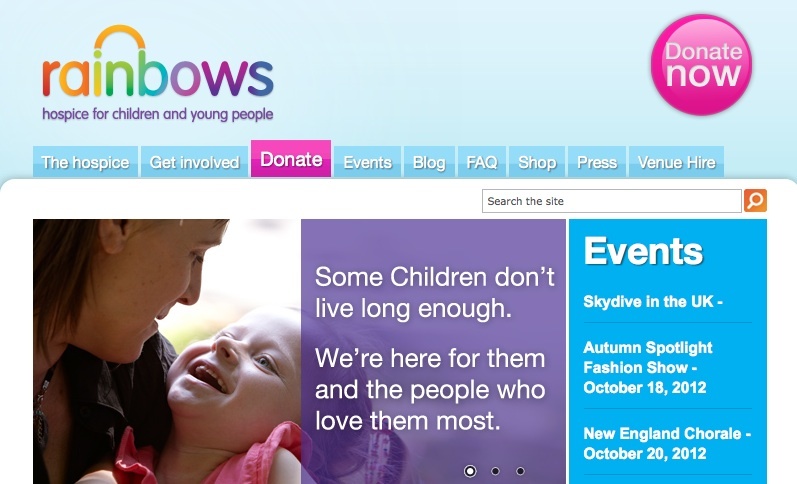 At Rainbows the emphasis is on enriching life and making each minute of each short life count. Each child is treated as an individual and helped by the skilled, experienced team to get the most from life and enjoy it to the full. Rainbows aims to provide 1:1 care wherever possible on a needs led basis for all children and young people who use our service. We are a nurse-led unit with support from a team of doctors with expertise in children’s palliative and end of life care and symptom management. A minimum of 3 qualified nurses (two of whom are children’s nurses) are on duty at all times, and competency based care is delivered by a highly skilled multidisciplinary team. The Care Team are supported by our Family Support Team who visit families at home or in the community as well as offering support when the children and young people are staying at Rainbows. Their work extends throughout the child’s or young person’s life and beyond into bereavement support as necessary. Our philosophy is that children are children first and foremost – they are not ‘little adults’. We offer a holistic approach to all our work and aim to involve children and young people and their families at every step of the way. 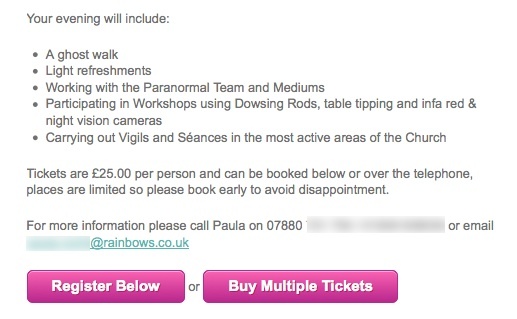 Visit their website at www.rainbows.co.uk for further details. Hi, this is Scott from Rainbows – you did an absolutely fantastic job, thank you so much. We’re all loving Event Espresso, it’s got loads of functions and is really easy for the end user to navigate. Brilliant product, bravo.